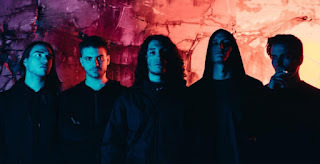 PROSPECTIVE STREAM NEW ALBUM AND RELEASES VIDEO FOR "THE VOID"
Progressive metalcore 5-piece Prospective has released their sophomore album. "Unreal". available across all platforms HERE. The band is also premiering a brand new single turned video for 'The Void', over HERE.